Foliage: Dark, shiny, lanceolate and bluntly toothed. Flowers: Large, daisy-like, white flowers with pale golden centers that are up to 3 inches across and are held high above the foliage. Cultivars include single and double flower forms, some with fringed petals. Culture: Partial to full sun, and well-drained soil, especially in winter. Divide every 2 to 3 years. Pinch taller-growing plants to keep them shorter and bushier. Deadhead for a longer period of flowering. Uses: Perennial border. Excellent and long-lasting fresh cut flower. Cultivars: ‘Becky’ was the 2003 Perennial Plant Association winner. 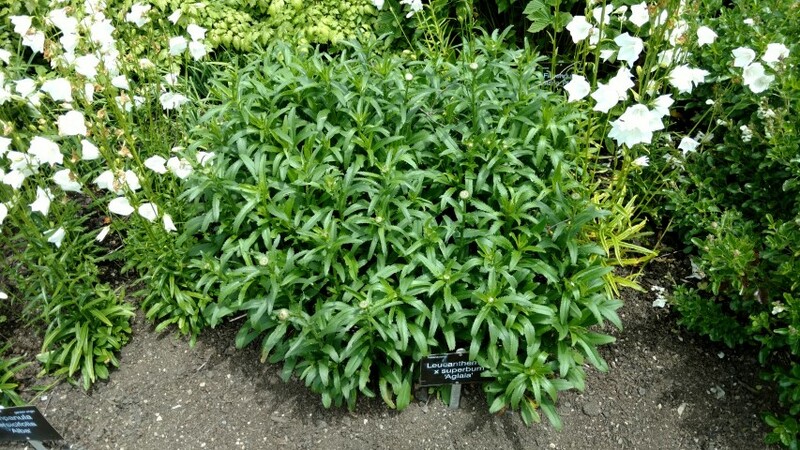 This Shasta daisy cultivar is larger than most other Shasta cultivars, growing 3-4' tall on rigid stems which do not require staking. Features 3-4" diameter flower heads. Long bloom period of July through September.